A clear recording is vitally important when obtaining transcripts as it impacts on the quality of the transcript. 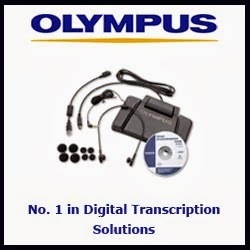 Quality, speed, and accuracy of audio transcription depend hugely on the clarity of the audio used for transcription. 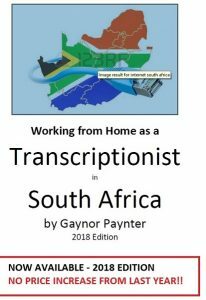 The time taken to complete the transcript can be dramatically improved with a good quality transcript and dramatically worsened if the audio quality is bad. If you are able to buy a quality recorder so much the better, but if you are unable to most cellphones come with good recorders. There are however ways in which you can enhance the recording. Here are some tips which will help you achieve this result. Record in a quiet place. Try to be alone a quiet place while recording; and if you are at work ask your staff and colleagues not to disturb you. Coffee shops are NOT great places to record. Try to keep away from traffic sounds which generally add to the background noise. A soundproof room is a good idea; but if this is not available you can place things like heavy curtains, furniture and carpets to absorb noise. If, however, a noise DOES occur, please repeat what was said during the interview. Please record one minute of silence before the interview begins. This will allow the transcriber to identify and cut out ambient sound using their software. If there is more than one person in the room while recording, make sure that they stay calm while you are recording. Do not let people speak at once, and ask people to identify themselves before they speak. It’s also important to make sure that the listener understands what is being said. If everyone talks at once, the transcript will suffer. Use good quality microphones, preferably, external microphones for better recording quality. These microphones are good at recording even very small sounds so keep away from external noise and chatter. Ensure that you speak steadily and comfortably and in a consistent tone. So, if you have a habit of speaking quickly, please speak slowly. It’s a great idea to do a trial run before the actual interview. Go to the place where you’re going to record and make a recording of about five minutes. Have a listen to it and if there is any major noise or interference you can make plans to correct this. You can also send it to your transcriptionist for comment. If possible, if you have access to a second recording device, or perhaps software like Audacity on a laptop, it’s a good idea to make a backup recording – in case one fails, becomes corrupt, lost, etc – and you may find that you would be able to hear some parts better in one than in the other. Write down all names with the correct spelling – including participant names, company names, acronyms, etc. Make a note of when and where the meeting occurred and include any specific information that you need to appear on the transcript. Remember at all times that the transcriber can’t see who is speaking, may not be a part of the company culture, etc. Remind speakers to identify themselves, to speak slowly and clearly, to spell out difficult terms, etc. 9. Keep in mind what the purpose of the recording is. For example, if it’s for minutes of meetings, identify speakers, summarise points and resolutions, etc. Saying ‘minute this’ or ‘don’t minute this’ can be very helpful. If it’s for student interviews, make it clear whether you need questions transcribed or not, etc. Show or explain these requirements to your participant/s so that they are also aware of what is required. Remember that while these points might be tedious, they assist in the production of a quality transcript.